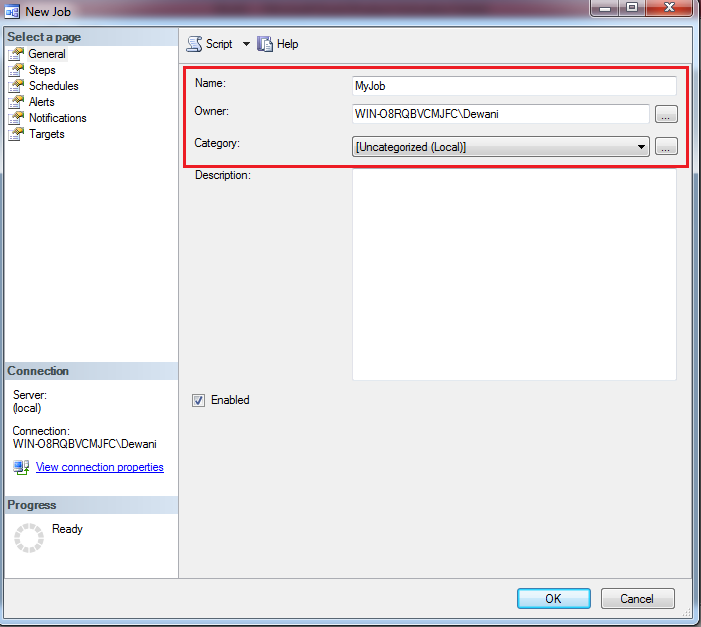 First, you need to create Linked Server in SQL Server. 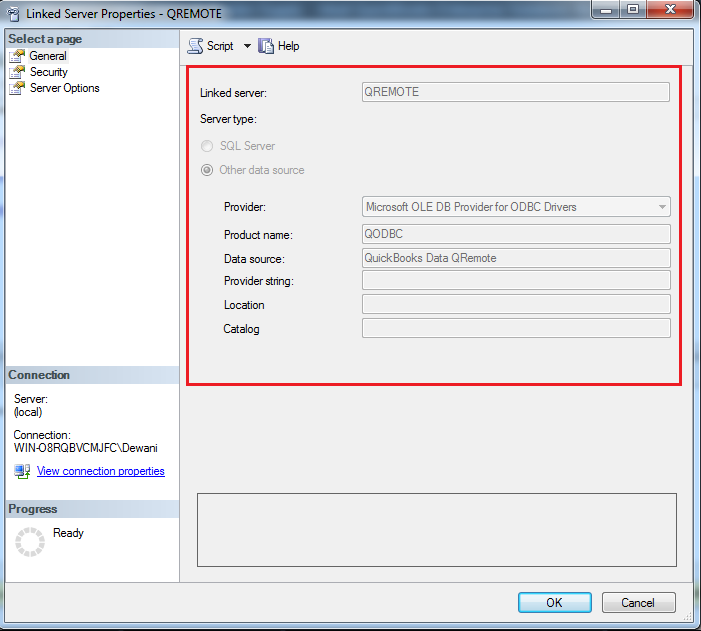 I have already created linked server "QRemote". After creating Linked Server, You need to create the stored procedure which will read data from Linked Server table & write into SQL Server local table. For storing Linked Server data in the local database. You need to use INSERT INTO SELECT query as below. We will add Account table in the local database with table name as Tbl_Account. Tbl_Account table is created to the local database with 105 records. Now we will query in local table Tbl_Account. Data is available in the local database table. Now, We will create a stored procedure which will read data from Linked Server table & write into SQL Server local table. 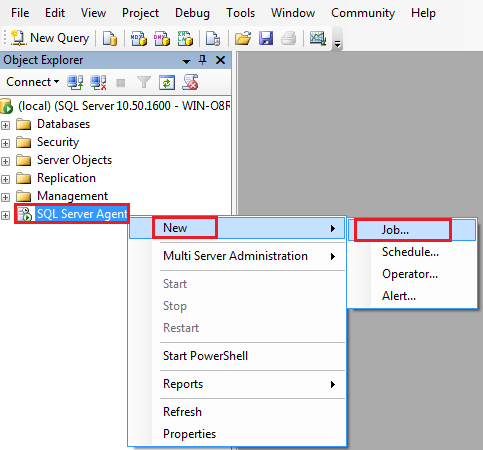 In Object Explorer, connect to an instance of Database Engine and then expand that instance. Expand Databases, expand Your database, and then expand Programmability. 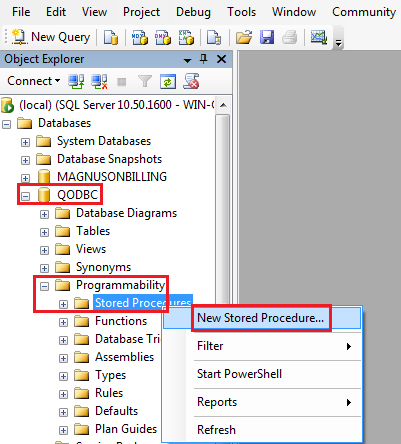 Right-click Stored Procedures and then click New Stored Procedure. We will create the stored procedure named Import_QODBC_Tables which will check in local database if the table exists it will drop table & recreate table & read all the linked server table & create the new table in a local database. After writing stored procedure click on execute to create the stored procedure. SELECT * INTO Tbl_Check FROM QRemote..."Check"
SELECT * INTO Tbl_Transaction FROM QRemote..."Transaction"
By executing this stored procedure all tables are imported to SQL Server Database. 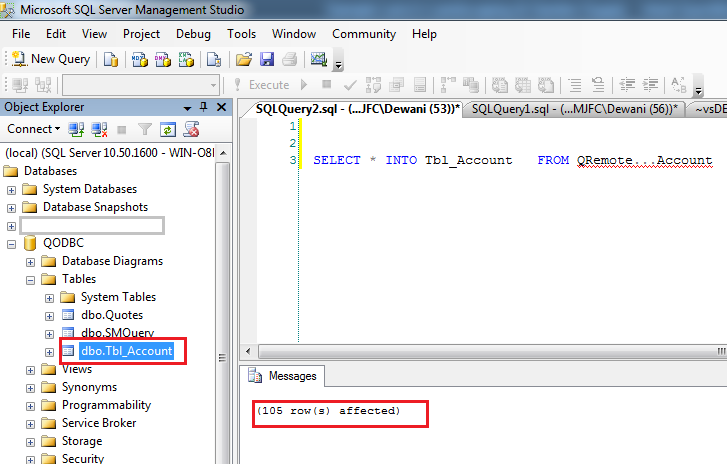 You can see that all tables are imported into SQL Server Database. You can add this stored procedure to SQL Agent & schedule it. 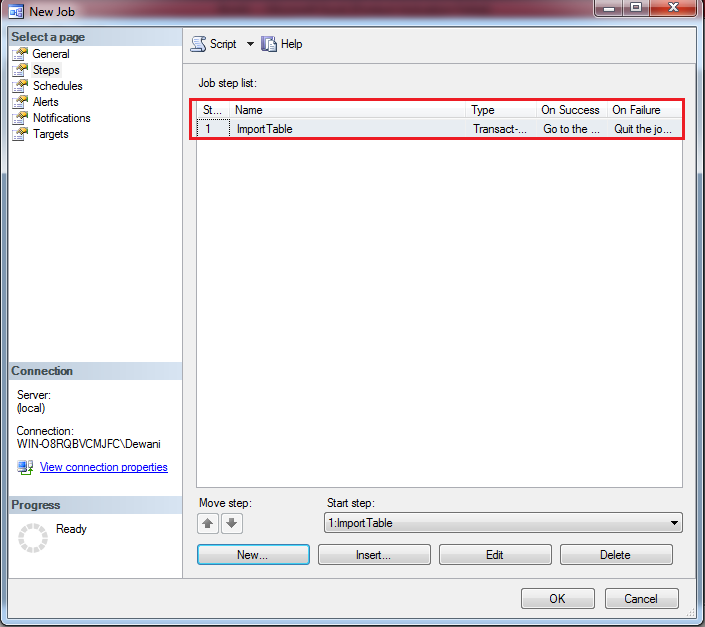 So it will automatically add all tables to SQL Server Database. Now we will add this stored procedure to SQL Agent. 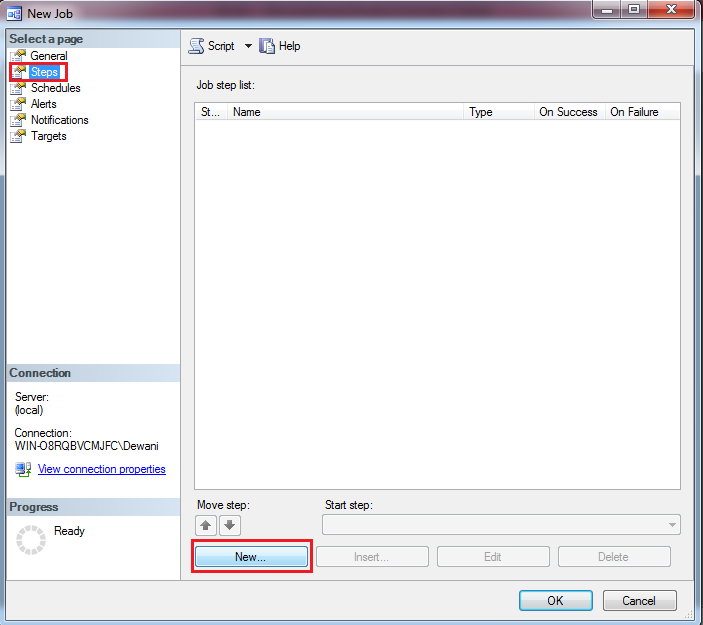 Right-click on SQL Server Agent & click on New >> Job to create a new Job. A New Job popup will appear. Specify the name of the job. Click next on the "Steps" in the left menu. An SQL job can contain one or more steps. A step might be simply an SQL statement or a stored procedure call. Add you step here. Enter step name, type. 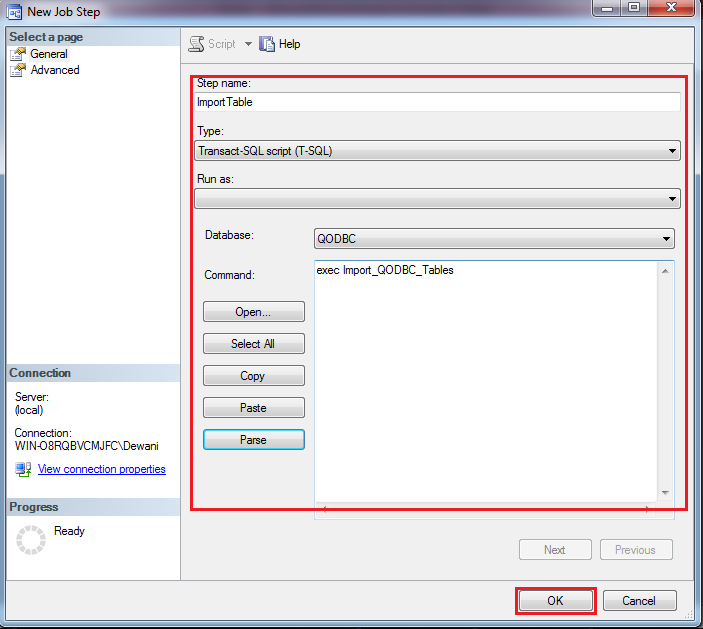 Select the database, write stored procedure execution command "exec Import_QODBC_Tables" & click ok. 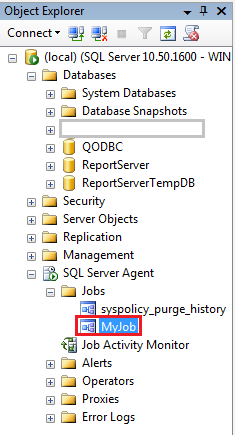 The job is added in SQL Server Agent. 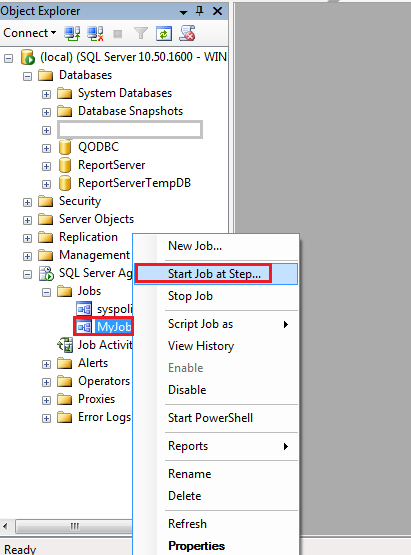 You can run a Job by right-click on Job name & click on "Start Job at Step..."
Hello, I was wondering if there was a method just like this, but going in the other direction, as in from a SQL database to Quickbooks via QODBC? I cannot seem to find anything in this method. You cannot directly import data into QuickBooks using QODBC. You need to write insert statement for inserting records in QuickBooks company file. You need to write insert query or VBA code which reads a CSV / Excel file & generate insert statements. You can search our knowledge base for writing data into QuickBooks. For Example, If you want to create Invoice, then you need to insert data into the InvoiceLine table. Same way you can search for other transactions.